For the second time this year, after I spent a weekend in lovely Strasbourg and Colmar some months ago, I was waiting at the Airport in Basel to catch my flight to one of our big neighbors, France. In a collaboration with Boa Lingua, a Swiss company that organizes language stays in different languages and countries around the world, I planned to use my two weeks of holidays to learn French in Montpellier After I already made my first language stay in San Diego, California with Boa Lingua and was highly pleased with their service I had an easy decision to do so again. Following I will tell you what I did whilst my language stay and what I loved while learning French in Montpellier. The definition of a language stay is hard to put into words. Firstly, you visit a language school to improve your language skills, which is something great. Secondly, you will explore a new region, like when you are traveling. Lastly, you will meet a lot of international people – in my case especially from Europe and South America. For me, a language stay is kind of a holiday where you work on your skills while developing yourself and meeting great friends that can change your life completely. Every aspect of your journey can play a huge role in the end result. But what were these facets in my language stay in Montpellier? Whilst I stayed in a dorm in the United States I went for a host family in Montpellier. To improve your language this is a crucial decision, especially if you are on a bad level at the beginning of your language stay. My host family had a central location (one minute from the school, five minutes to the city center) and my host mother was simply amazing. Honestly, my room was even much better than my own room at home. Further, your host family is always there for you if you need any help or assistance, no matter if it belongs to your homework or something else. Admittedly not every host family is as perfect as mine was. Still, Boa Lingua will always try to give you a great family and it’s possible to change if you have any problems. Also a crucial part is the school you are attending. At the end of the day, you pay them and should expect a great service to improve your language. In my two stays this was the case – whilst my language stay in Montpellier I went to ILA Montpellier which was a great school. It is also possible to explore the region with your language school. They usually offer organized trips with guides or teachers showing around in the city. 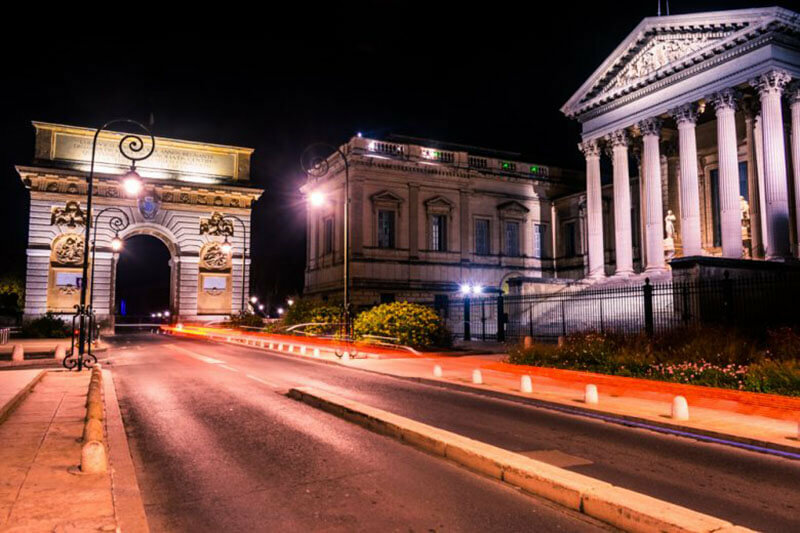 In general, there are many different french courses in Montpellier – so everybody will find a perfect fit for his needs. This is, for me, one of the best parts of a language stay, especially if you stay for a longer time period. You will meet people from all around the world in a different situation then the daily grind of our working society. This makes it possible to build strong connections in just some months or even weeks. If you plan to travel around the world it’s a great idea to start off with a language stay for some months to connect with people that will maybe give you a great opportunity for your travel experience. For example did I travel around Brazil for one month and this just happened because of my language stay last year in California. So you will definitely not only learn French in Montpellier but also get to know amazing people. You can do this alone or with your school. Sure, that’s okay. But it’s much better to do this with your new friends! Whilst my language stay in Montpellier we walked more than 10’000 meters per day in the beginning and just explored the various streets, alleys, parks, monuments, and churches all around the city. It is also possible to explore the city center with guides that will show you everything you need to know. There is so much to explore! Once we were tired of doing this tourist stuff we just took some time to relax in one of the lovely small coffee stores or in a cozy park, like the one next to the “Chateau de Flaugergues”. I almost forgot to mention that there are also amazing beaches nearby – perfect if you stay there in Summer. If that is not enough you can also visit other cities that are pretty easy to reach – such as NiceNice. Finally, let’s come to what I personally loved the most about my language stay in Montpellier. In general, I had a great time there and can’t complain about it at all – still, there are some points that clearly stood out for me. Don’t get me wrong, Montpellier is a lovely city at daytime. However, when the night started there were so many great possibilities. The oldtown shines like a diamond, the different bars start their business and the parks are even more relaxing to chill. Just sitting outside with friends, drinking a beer and talk about the world – Montpellier is the perfect place for that kind of things. There are also several places to meet international students – such as the famous Australian Bar. When attending french courses in Montpellier it is for sure not an easy thing to only focus on them, as there are so many possibilities to have fun. This aspect is not for everybody – but especially for me. If you are a photographer you will simply love Montpellier. Also at night all the buildings just look magnificent with their lighting and the darkness of the night. You can walk around the old town and find an amazing spot on every corner. If you avoid the poor areas (they are not in the center) you will also don’t have any problems with the safety of you or your camera gear. To end the whole article I want to tell you that I really loved my time in Montpellier – in every aspect. 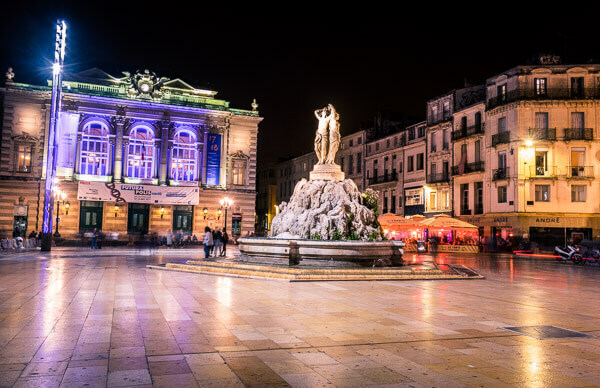 If you plan to learn French in Montpellier or just to visit a lovely little city – Montpellier is an excellent choice. If you liked my report or consider doing a language stay you can head over to Boa Lingua’s Blog (German) and read more stories from other travelers.